I was one of the very fortunate few who had a ticket for this mega event shocker! It's a night I'll never forget, inside the ring & out of it, the MGM went into lockdown for 1 hour to try & contain the chaos that spilled out of the arena & into the main casino. 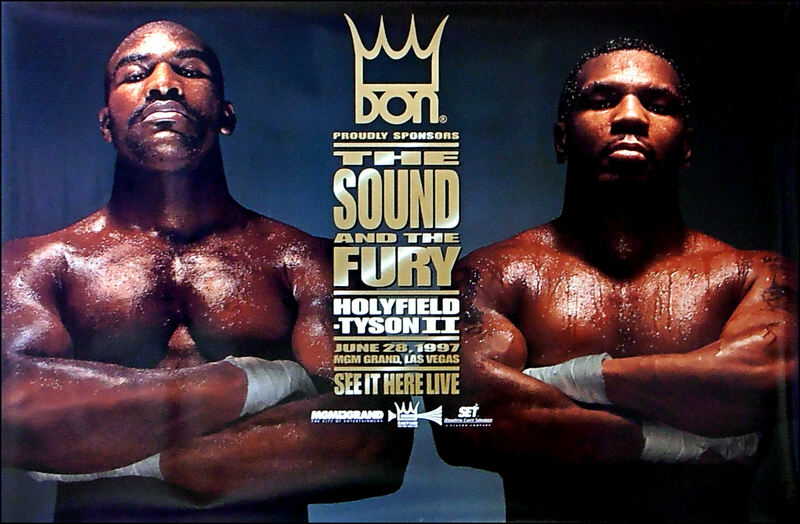 A lunatic night all round.....Evander Holyfield vs. Mike Tyson II was billed as "The Sound and the Fury" that took place on June 28, 1997 for the WBA Heavyweight Championship. 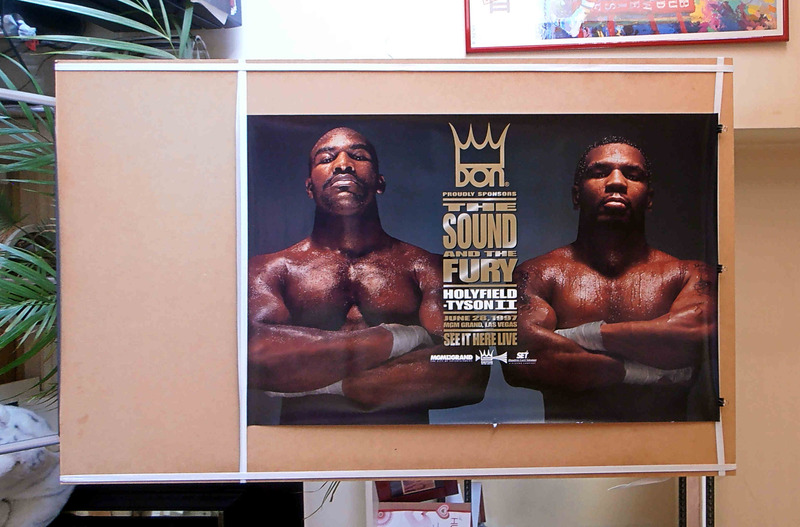 It achieved notoriety as one of the most bizarre fights in boxing history..... The fight began with Holyfield dominating Tyson. Holyfield won the first two rounds. At 2:19 of the first round, an overhand right from Holyfield stunned Tyson, but Tyson fought back immediately pushing Holyfield backwards. 32 seconds into Round Two, Holyfield ducked under a right from Tyson, in doing so, head butting Tyson and opening a large cut over his right eye. Tyson had repeatedly complained about head-butting in the first bout between the two.....As the third round was about to begin, Tyson came out of his corner without his mouthpiece, which Mills Lane spotted & made him put it back in, it seems Mike had decided to take matters into his own hands about the headbutts, Tyson began the third round with a furious attack & was starting to look like the Tyson of old! 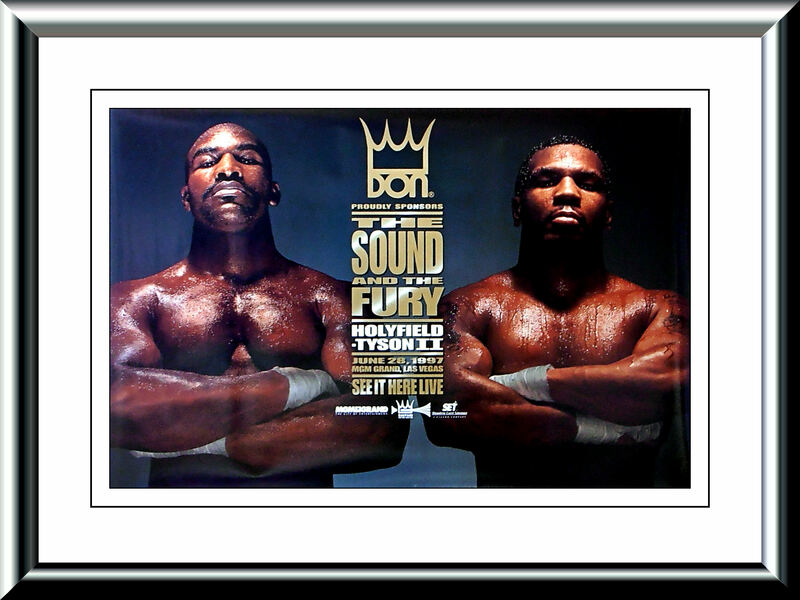 With forty seconds remaining in the round Holyfield got Tyson in a clinch, and Tyson rolled his head above Holyfield's shoulder and bit Holyfield on his right ear, Tyson chomped off a one-inch piece of cartilage from the top of Evanders ear & spat out the piece of ear onto the ring canvas & that was the Que for LET THE MAYHEM BEGIN!